According to U.S. officials briefed on recent intelligence, North Korea is continuing work on its ballistic missile program. 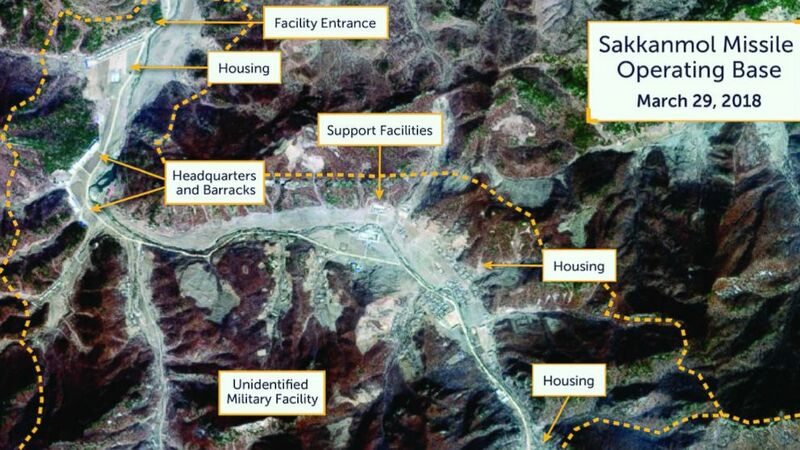 This confirms a private report Monday detailing recent improvements made at undeclared military sites. According to one U.S. official, “North Korea has continued its ballistic missile program at a number of bases but it’s significant that they have not tested one in nearly a year; we need to give the diplomats time and space to work.” Reports released Monday said researchers had identified 13 of an estimated 20 undeclared North Korean missile bases, and included a detailed analysis of one facility, the Sakkanmol Missile Operating Base, about 50 miles north of the Demilitarized Zone separating North and South Korea. The U.S. says North Korea has promised to dismantle its missile bases.